Major town events - yes, we got real camels and a donkey! We are always pleased to welcome new members. 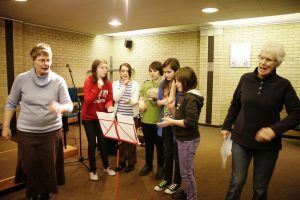 As well as acting and directing there are always opportunities to help with set building, front of house, and much more. No experience is necessary. Just come along to any reading or audition published on this website and introduce yourself. 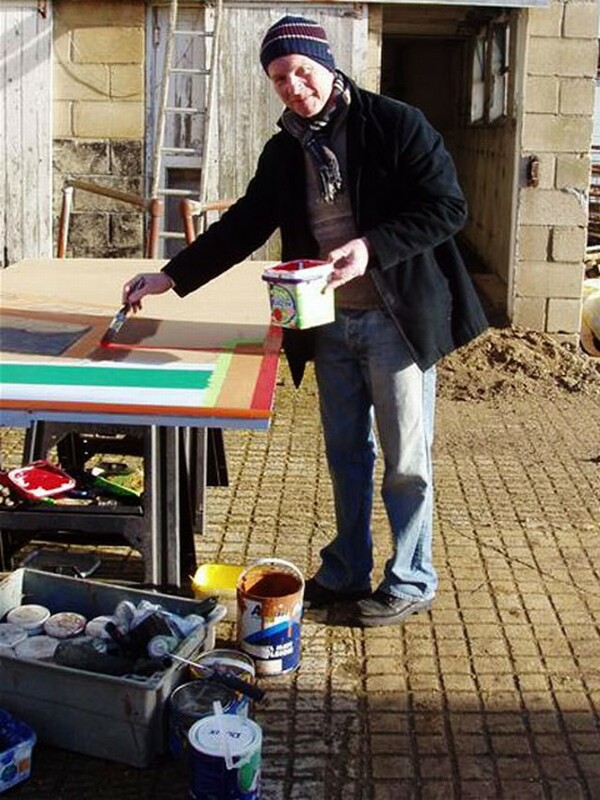 Whether you want to be in a play or just help back stage or front of house you will always be made welcome. What has FDS ever done for us? 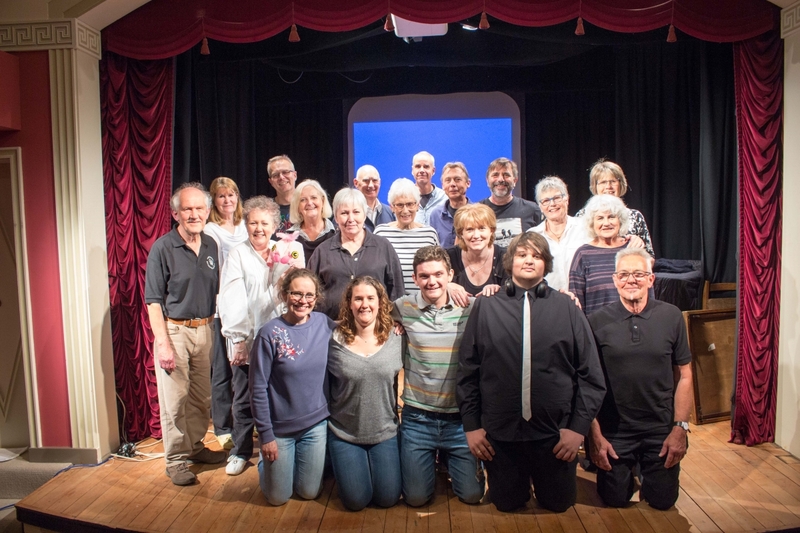 As a member of Faringdon Dramatic Society you can … read more … (fds-membership-benefits.pdf). For more information about the society please see our History page, FDS-A to Z (pdf), or download our PowerPoint Presentation (7MB). Any person wishing to take part in a production, whether on stage or off, will be asked to become a member of the society and contribute to the running costs* by paying either an annual or a single production fee. This fee also covers the cost of insurance, which is essential for any member of the cast or production crew. The annual membership renewal becomes due at the AGM held each year in May. Download and fill in our FDS-MembershipForm.pdf and bring it with you to the AGM, together with your cash or cheque (payable to Faringdon Dramatic Society). Fill in the Online Membership Form below then log in separately to your own bank and make a one-off direct payment to Lloyds TSB using the details that already have been or will be provided on request. Or if you prefer, our regular members might like to set up an annual standing order payment dated for the 1st May each year. There are no bank charges for paying by this method. This is the preferred method if you miss paying at the AGM. Fill in the Online Membership Form below then either pay immediately online via PayPal or your debit/credit card using the links provided or bring a cheque to the next meeting. Please note that we lose money in bank charges (£1.05-1.56) if you pay online. If you have already submitted a membership form this year but not yet paid and wish to pay online you can go straight to our payment pagehere. For family membership please submit a separate form for each member (but only pay once). Anything else that might be useful? On clicking the SUBMIT button you will be taken to the Online Payment page, which you may exit if either paying by other methods, simply updating your details or submitting details for another family member. The data sent via this website is not encrypted and sent at your own risk. 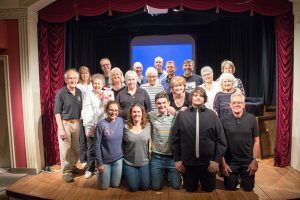 Faringdon Dramatic Society FDS is an amateur theatre group and a non-profit organisation. All money received from membership fees, ticket and bar sales, and the occasional donation is used to cover the running costs of our productions. 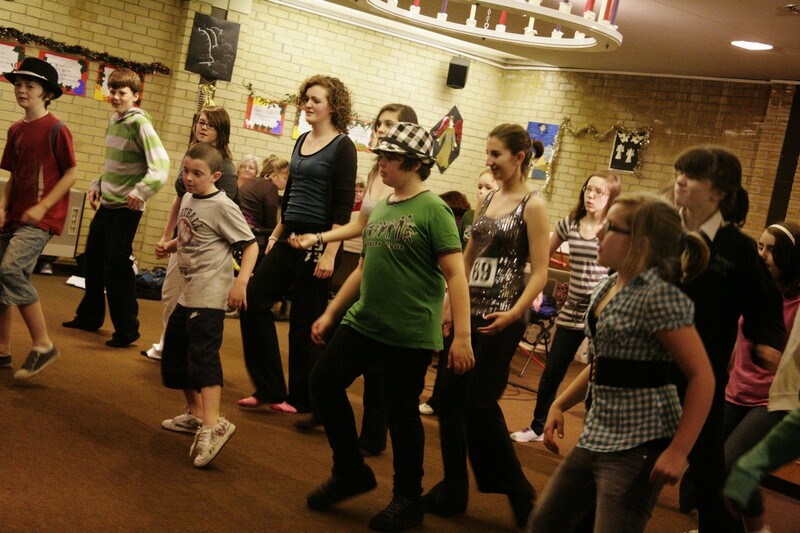 The greatest expenditure is for venue hire for both rehearsals and performances, copyright licensing, and insurance. Other expenses include staging, lighting, costumes, and props.